When we find ourselves frequently stressed, we can forget to have fun and lighten up. We often don’t recognize the long term effects of stress until we face an illness or health crisis. By then we have quite a bit of backtracking to do. 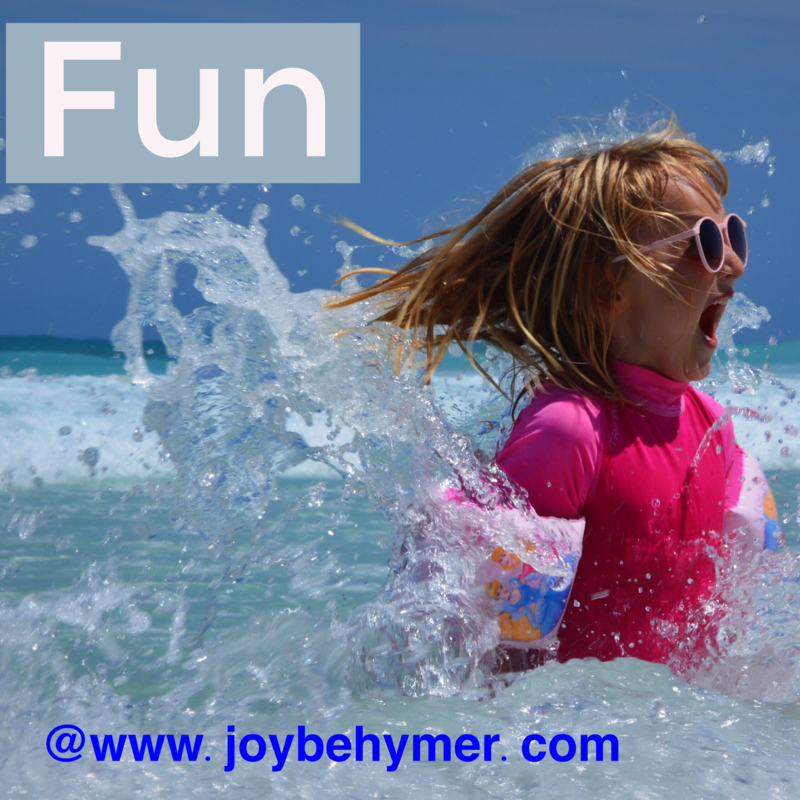 The good news is that we can start now to incorporate some fun into our lives. Fun is certainly subjective, but it can be anything from small gestures to big events that help your heart and soul to smile. The key is remembering to have fun as we travel along in our lives and along our journeys. When we engage in activities that are fun to us, it’s a way of lightening up our energy. Raising your energy and vibrations helps your body to function more optimally. Just like eating healthy foods, drinking water, or getting exercise, we can help take care of our bodies by finding or creating fun energy. Fun can be an easy way to leverage better health and higher energy. Gelotology is the study of laughter and its effects on the body. Some of the studies show that laughter can help alleviate stress and pain and assist with cardiopulmonary rehabilitation. So basically laughter is good for the heart! There are even therapies dedicated to laughter, ranging from humor and laughter therapy to laughter meditation and even laughter yoga. The important point is to notice how often you are having fun in your life. Are you laughing frequently? Do you get to experience activities that lift you into that lighter energy? Many people have stressful jobs and schedules packed with responsibilities. It can be easy to get bogged down and forget to have fun or simply be light-hearted. If you aren’t experiencing much fun or laughter, it’s greatly important to your health that you try to do so as soon as possible. To allow some space when you can for things you enjoy, love, or just find funny. It doesn’t always have to take a huge hunk of time. You can incorporate the small things. Like cutting off the news to watch a comedy, play in the yard with the kids, or go to the pet shelters and give those animals some love. Better yet, rescue an animal to play and spend time with. Donate some of your time to things that bring you joy. A good belly laugh with friends. Perhaps there are some things that you used to do for fun but have since left behind. We can easily put ourselves last and not create any time for our inner child. We all have one, and there is nothing immature about nurturing that self. It directly relates to your well-being. When was the last time you laughed so hard that you cried? Danced? Got lost in fun? Felt your heart soar? Your soul smile? Be easy about it. Let some stress go. Allow some fun and lighter energy in. Just having some fun, laughing a little bit more, and feeling more ease creates a healthier environment for your cells to thrive in. Fun can be a win-win situation for your body, mind, and soul! Just remember yourself. Remember that little one inside who needs out sometimes. Don’t keep your soul cooped up or let stress keep you bogged down for too long. Fun lifts the fog, even if just for a bit. Taking a break from stress is fuel for the body to do its own magic.